The contract of agency under the Italian Civil Code. 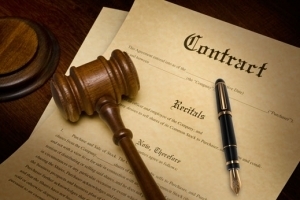 Pursuant to Article 1742 of the Italian Civil Law, agency is a contract whereby one party assumes the task of promoting, on behalf of the other, the conclusion of contracts in a certain area. The contract must be evidenced by a writing. Each party has the right to receive from the other a signed document that reproduces the content of the contract. This right is inalienable. About the exclusive right in the contract of agency, the principal can not make use of more agents simultaneously in the same area and for the same branch of activity. Equally the agent can not do the task for more companies that are competing with each other. The agent is not entitled to collect the claims of the principal. If this option has been attributed, he can not give discounts or extensions without special authorization of the principal. Pursuant to Article 1746, the agent must protect the principal's interests and act dutifully and in good faith. In particular, he must fulfill the job in accordance with the principal's instructions and give to the principal all information about market conditions in his area and any other useful information to assess the convenience of the individual business. Any contrary agreement is void. For all business concluded during the contract, the agent is entitled to commission when the transaction has been concluded as a result of his intervention. The agent is also entitled to commission for all business of the principal with third parties acquired as customers by the agent, unless otherwise agreed.